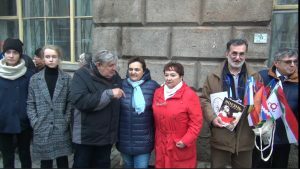 A part of this article is also published in the information portal of the Ministry of Diaspora of the Republic of Armenia. 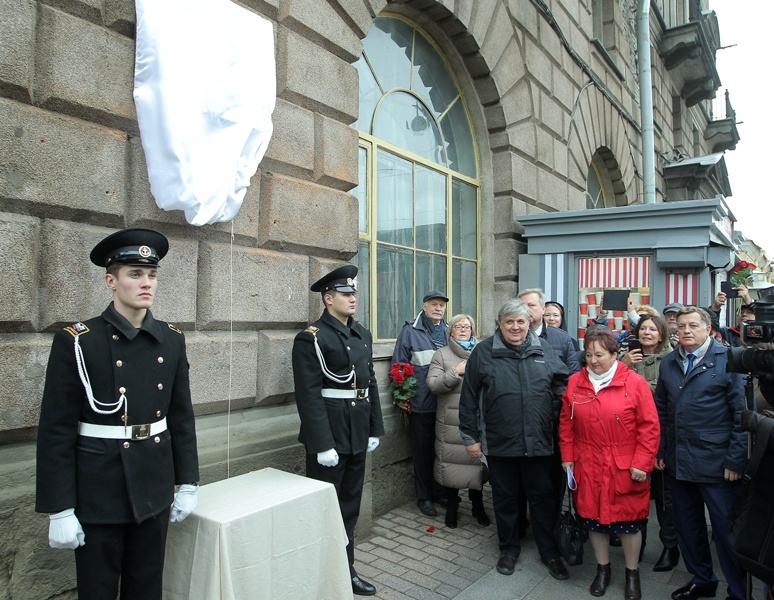 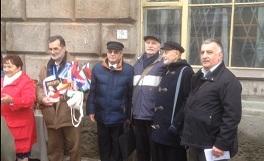 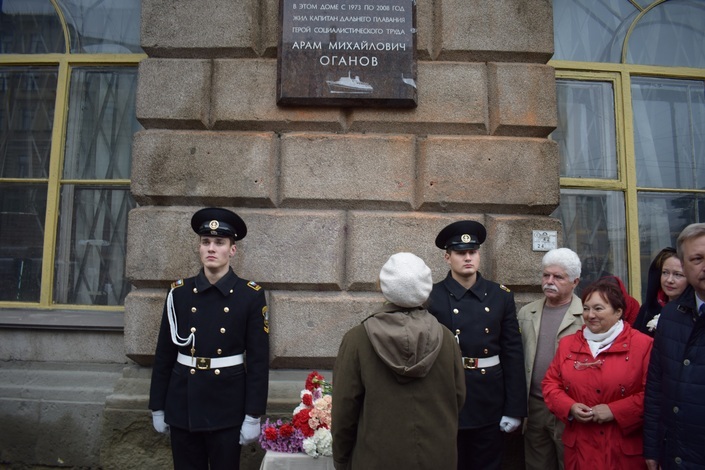 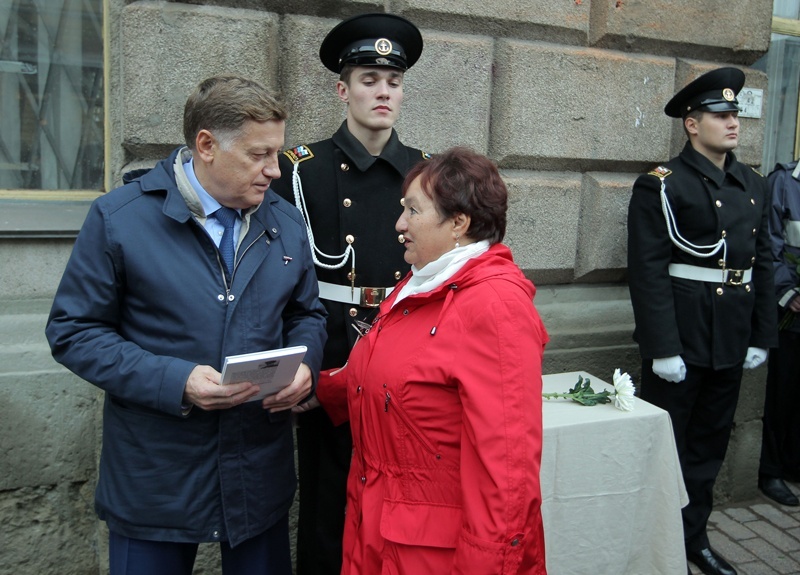 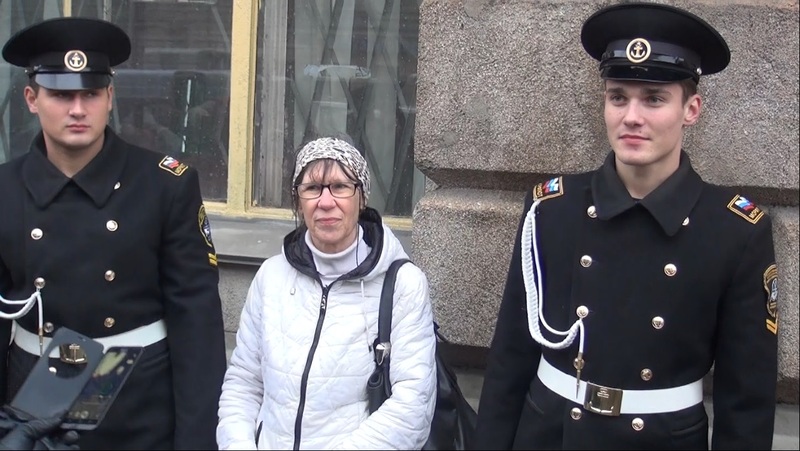 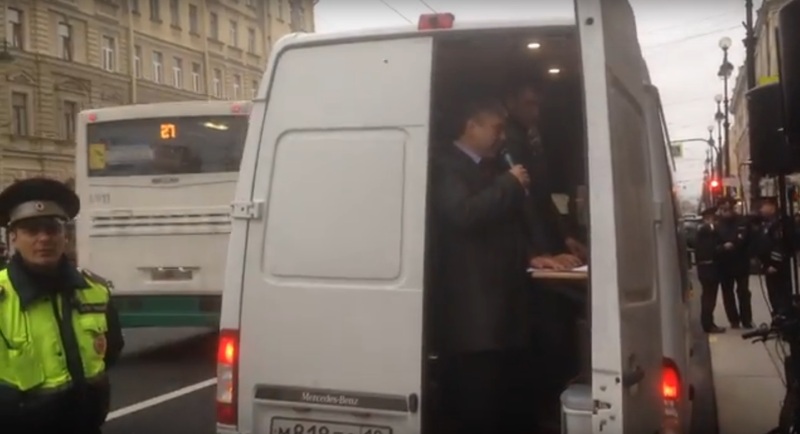 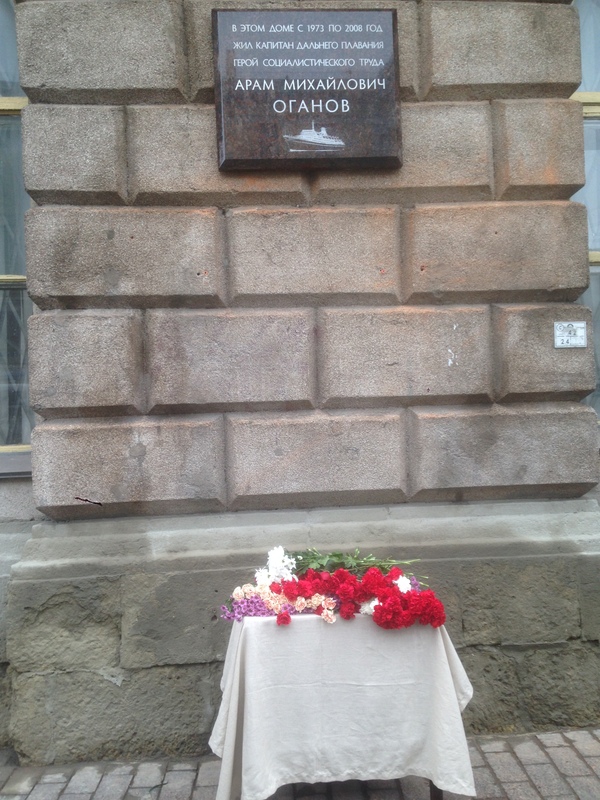 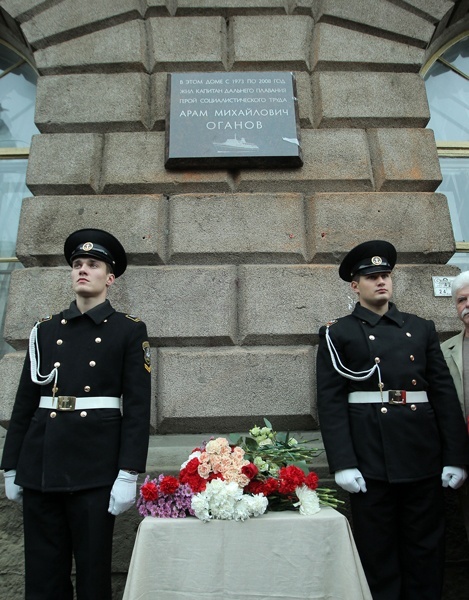 On October 9, 2018, a memorial plaque to Armenian Aram Mikhailovich Oganov was installed in the center of St. Petersburg, Russia. 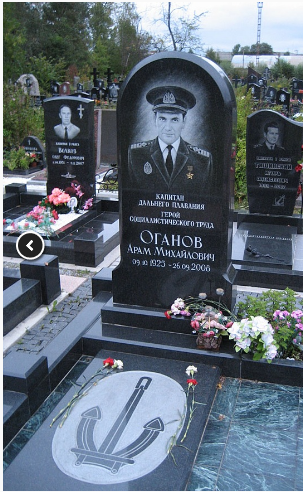 Aram Oganov (10/09/1925 — 09/26/2008) — was one of the founders of passenger navigation in the USSR, sea captain, Ph.D., Hero of Socialist Labor. 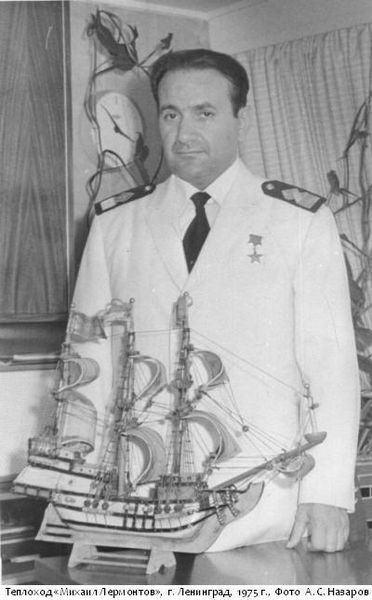 Born in 1925 in the city of Zagatala in Azerbaijan. He graduated from the Baku Naval School (BNS) with honors, Navigation faculty of the Leningrad higher Marine engineering school by Admiral Makarov. 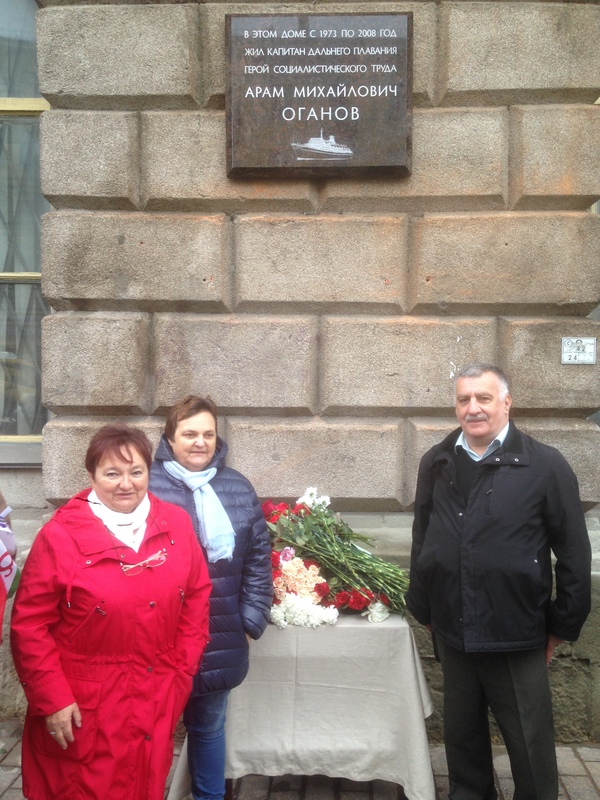 He worked as a navigator in the Baltic sea shipping company (since 1945) as the third assistant captain. 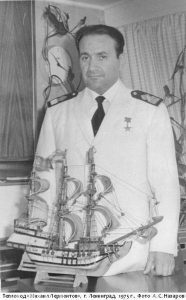 The captain (since 1952) on cargo ships, on the sea passenger fleet — liners Estonia, Alexander Pushkin, Mikhail Lermontov, etc. He trained 29 sea captains. The name of Aram Oganov is not forgotten even 10 years after his death. 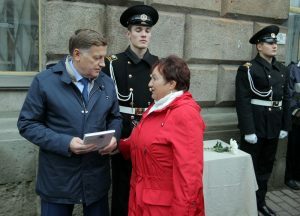 November 16, 2017 the governor of St. Petersburg G.S. 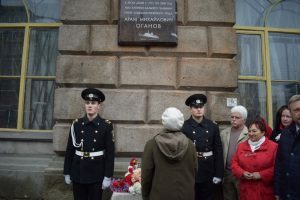 Poltavchenko sent a letter to the Legislative Assembly with a proposal to install a memorial plaque to Aram Oganov (out. 16/11/2017 N 07-119 / 11180; input 16/11/2017 N 710097-1). 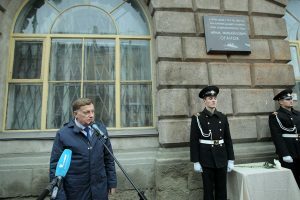 A number of deputies supported the proposal to make a plaque. 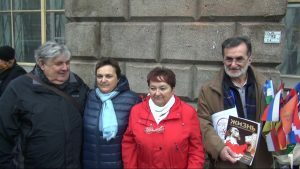 December 1, 2017, the chairman of the Standing Committee on education for culture and science M.L. 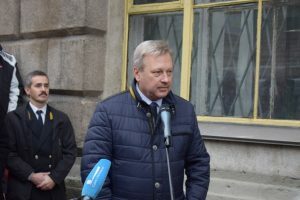 Reznik sent an Explanatory note (reg. 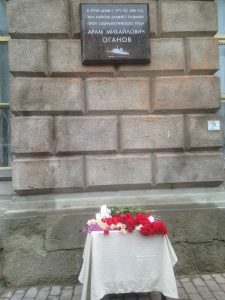 number: 2122, in Russian) to the draft resolution of the Legislative Assembly of St. Petersburg «On the installation of a memorial plaque to A.M. Oganov». 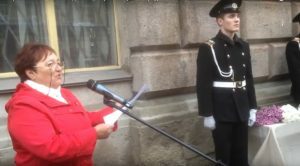 On June 28, 2018, the Government of St. Petersburg made Resolution No. 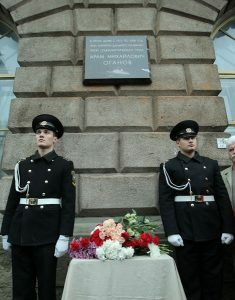 531 “On the installation of a memorial plaque to A.M. Oganov”. 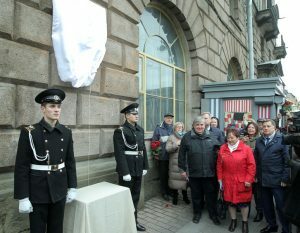 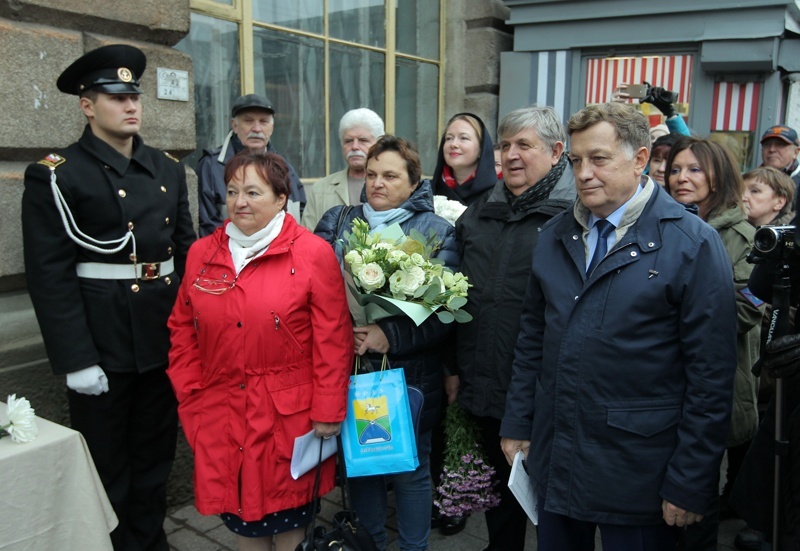 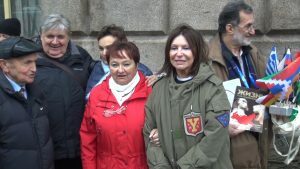 The event was attended by the Chairman of the Legislative Assembly of St. Petersburg Vyacheslav Makarov, the head of the Central District Andrey Khlutkov, the Chairman of the Baltic Territorial Organization of the Russian Seamen’s Union Alexander Bodnya, the daughter of the seaman Marina Oganova, representatives of the Baltic Shipping Company, Admiral S.O. 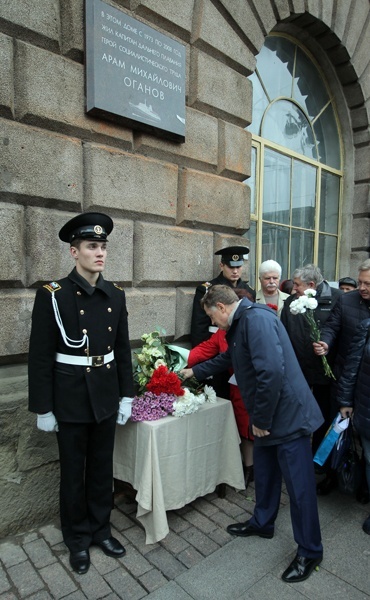 Makarova, the public. 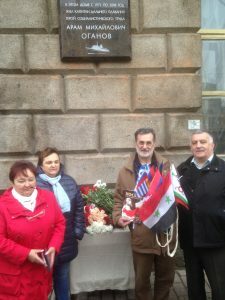 The friends and colleagues of Aram Oganov recalled that in New York and Montreal during Soviet times, сaptain Aram Oganov and his team were very warmly welcomed by groups from the Armenian communities of these cities. 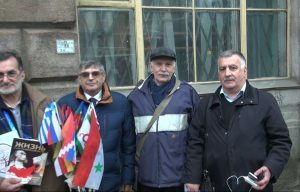 The event on October 9 was attended by about 80 people, including Antoin Arakelyan, Alexander Bogdanov and Vahan Babakhanyan. 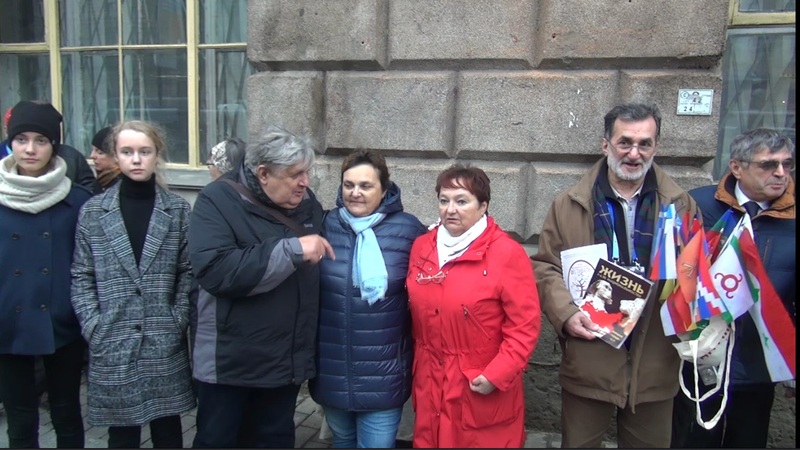 Marina Aramovna Oganova, Vitaliy Teodorovich Sigel were offered by Vahan Babakhanyan to organize an event about the life and activities of Aram Oganov in the Armenian community, the building of which is also located on Nevsky prospect. This detailed artcicle with three video fragments, two dozen photos and several web links at the end is a guarantee that such an event will take place, in order Aram Oganov’s name to become closer to the Armenian community and the example of his ascetic life to bring up new Oganovs in the community.